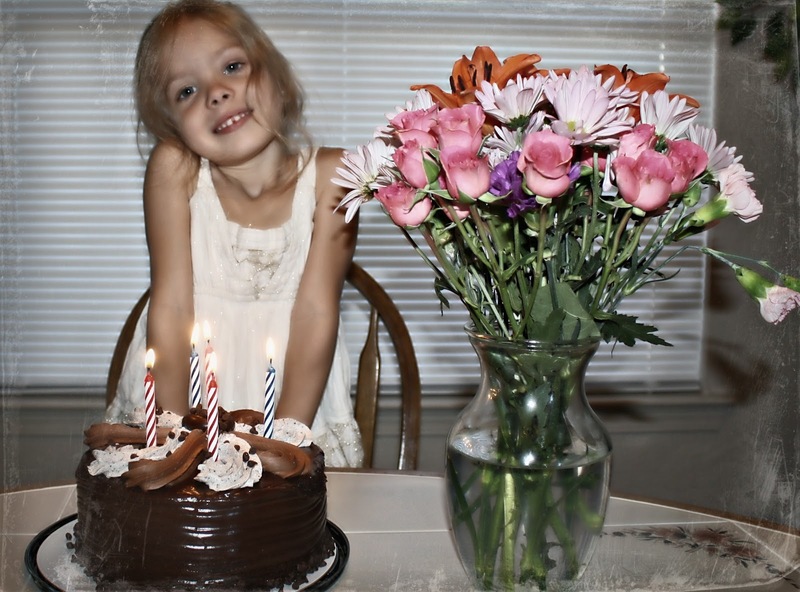 In April, my middle daughter had a mini birthday as my oldest and my grandbaby came for a visit. We knew we wanted to have a Hello Kitty themed party so we decided to get a cake and a couple of small presents along with some flowers. 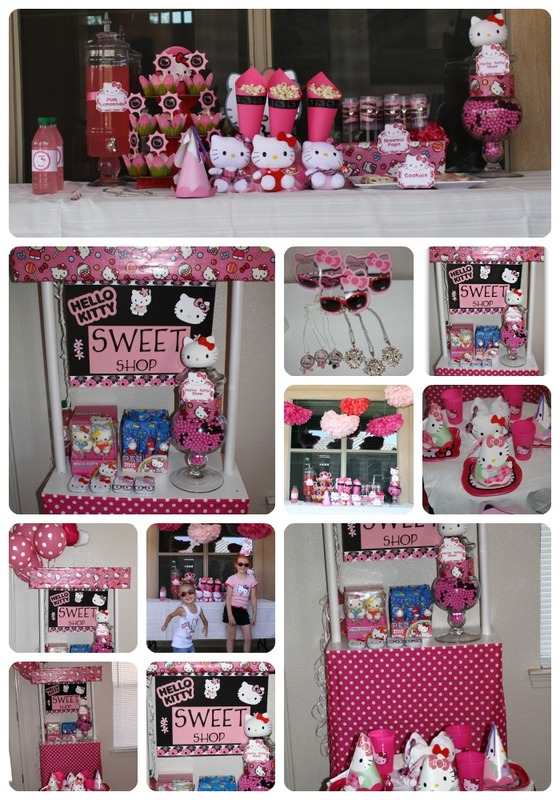 Later, we had the big Hello Kitty party for both girls since they wanted the same theme. Danielle was happy because she had her big party. So when it came time for her birthday, I let her have her cake, flowers and a small gift a couple of days ahead of time. Big mistake! On the day of her actual birthday, she wanted to know where her presents were and so I explained that she already received gifts two other times. Then she went into this long teary eyed discussion asking me if I understood what birthdays were and what was expected at birthdays. There was no reasoning with her especially since she's a hot head! I confess that I spoil my children. 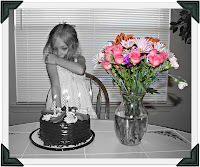 She did get one more cake but no more presents. Luckily, my parents sent her a gift that she was able to open yesterday and that diverted the disaster. She also discovered a loose tooth so that took some of the heat off myself! I have five interviews forthcoming for a job and am not quite sure how well they will do once I return to the work force. I am lucky that wherever I end up, my oldest, her daughter and her fiance will be coming with me to be my full time nanny. The girls are definitely excited about that! One can never receive too many birthday presents! LOL Or cake! Hope she had a great birthday. :) Hugs!